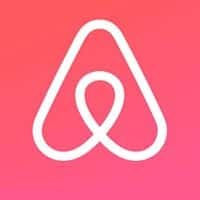 I recently sat down and was able to dig up some pretty interesting Airbnb statistics and facts. As always, I will be updating this post regularly, so be sure to check back again for new and updated stats. These days, just about every new startup is out to disrupt some traditional industry with a digital solution. This trend has led to some ingenious amazing success stories like Uber (personal transportation) and Zillow (real estate). Interestingly, one of the most successful disrupters from the past few years is from an industry you may not have expected. Airbnb took an industry that generally isn’t top of mind among the general public and created a digital solution that not only catapulted home-renting into the mainstream, but racked up a nice $billion+ valuation for the company along the way. The service began, innocently enough, as a way for a couple of roommates to make ends meet by renting out an air mattress in their living room and just look where it is now! How many people use Airbnb? How many employees does Airbnb have? Report 1: Digital Disruptors Report (Airbnb, Amazon, Glassdoor, Netflix, Tesla, TripAdvisor, Uber, WordPress, Zillow). Report 2: Unicorn Companies Report (Airbnb, Buzzfeed, Pinterest, Slack and WordPress). Report 3: Travel Company Report (Airbnb, Ctrip, TripAdvisor).